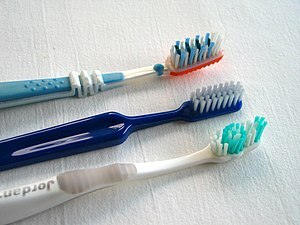 For a long time, the obsessive way Koreans cleaned their teeth amused me. Several years ago I taught kids aged between 3-6 and after lunch they would line up, tooth brushes in hand, and proceed in a conga to the bathroom, to clean their teeth. It is a common practice for Koreans to depart to the bathroom and administer themselves some oral hygiene after eating lunch. Of course historically, Britain is famous for its poor dental hygiene but with a predominance of privatised dentists, we can now boast services comparable to those in the USA and with fees to match. But most Brits, even those with good teeth, myself included, usually only brush them twice a day – once in the morning and once at night. On the other hand, Koreans are quite fastidious about a thrice a day brushing and I have come to the conclusion this practice has more to do with nature of Korean food, than with keeping cavities at bay. First, many Korean foods, kimchi being the most obvious, contain copious amounts of chili powder. This powder is nothing like the chili powder we buy in Europe. Korean chili powder, (고추 가루), isn’t really ‘powder’ at all and should be called ‘flaked chili’ or ‘coarse chili powder.’ With a tendency to adhere and an ability to resist being flushed with fluids, chili speckled teeth have never been fashionable. Those flakes grip the surfaces of the smoothest enamel and easily embed themselves between the teeth. Kim, (김), seasoned lava, though not as prehensile, certainly looks worse. Substantial, dark green patches on the teeth can be mistaken for missing or severely rotted teeth or an advanced fungal infection. Sesame seeds have a predilection for embedding themselves in oral recess with such success that they are impervious to assault by pencil tips, pens, paper clip ends and any other object with the exception of a toothbrush or floss. Perhaps the worst offenders, adept at seeking out any small gap between the teeth and attaching like limpets therein, are seaweed and baby mooli tops ( 우거지). Unlike meat, which being protein based, decays rapidly in the mouth until it can eventually be sucked out, seaweed and mooli leaves offer more resistance. Their thin slimy surfaces, braced with some fibrous support, have the propensity to remain wedged between teeth for hours. Their slimy texture and ability to mold to underlying contours makes them especially impervious to sucking and probing. A noseful of someone’s garlic breath can be off-putting but I have learnt that the only time garlic is noticeable on someone’s breath, is in the interim between arriving at the airport, and eating kimchi. The best defence against garlic breath is to eat it yourself as this masks the smell emanating from other people. When Kimpo was Seoul’s only international airport and you walked into the tiny arrivals, nothing much more than a big lobby, the stench of garlic almost knocked you over. I have never noticed garlic hanging in the air at Inchon International but maybe this is because I eat kimchi even when back home. Anyway, cleaning your teeth to remove the smell of garlic never seems to work, even when garlic is eaten in moderation. When it’s in everything and even eaten raw, brushing the teeth to dispel its odour is pointless. A Korean diet has gradually raised my awareness of the location of various oral weak spots with more precision than disclosing tablets and when cleaning my teeth, I now focus on the places which attract sesame seeds and are likely to ensnare slivers of seaweed and mooli leaf. If I eat anything other than a sandwich for lunch, I usually clean my teeth. All the prodding with tongue and sucking of teeth is irksome and a mouthful of ensnared seeds, chili and vegetation, especially when you’re British, isn’t a good advert.